Birmingham Granulators Ltd are once again delighted to be exhibiting at Interplas 2017. 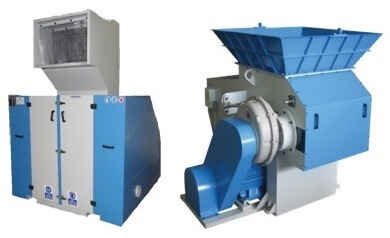 They can be found on Stand H51 showcasing a new pulveriser and small size granulator from the extensive range of Inan Plastik machinery including granulators, shredders, pulverisers, extruders and complete wash/recycling lines. After the success of Interplas 2014, Birmingham Granulators hope to continue the trend of introducing these quality products to the market. They have been encouraged with the new sales since the last show, especially into the car automotive sector, with excellent results and satisfied customers. With their fully trained electro/mechanical engineers, Birmingham Granulators also offer overhaul and refurbishment programs and attend on-site breakdowns and routine service visits. They also supply a full range of spares, including blades, screens, blowers, cyclones and pipework, plus in-house blade sharpening offering an all-round service to the customer.